Elon Musk unveils Tesla's model Y crossover SUV in style. 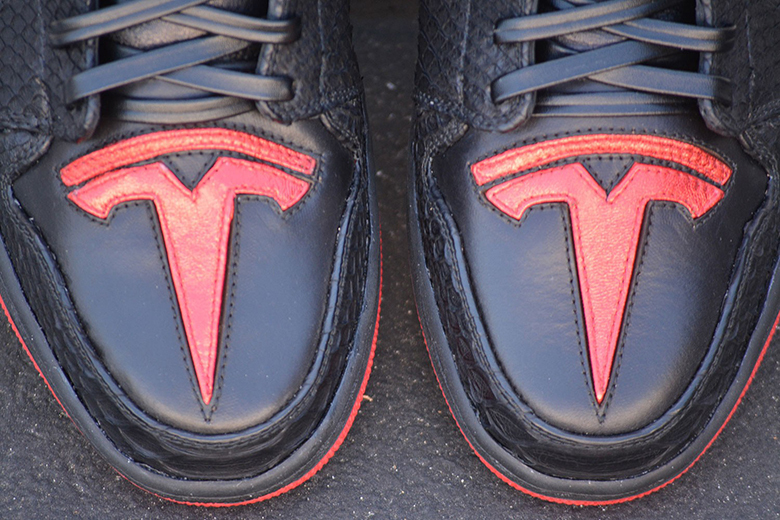 Elon Musk recently took the stage in an exclusive pair of Air Jordan 1 customs as he unveiled Tesla's new Model Y crossover SUV at Tesla’s design center in Hawthorne, California. 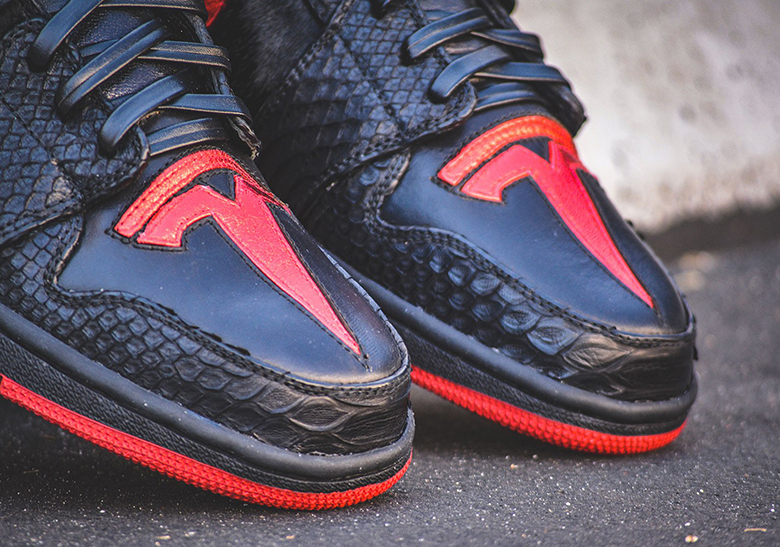 The 1-of-1 sneakers, designed by DeMarco Customs, consist of a black and red colorway inspired by Tesla’s Roadster. 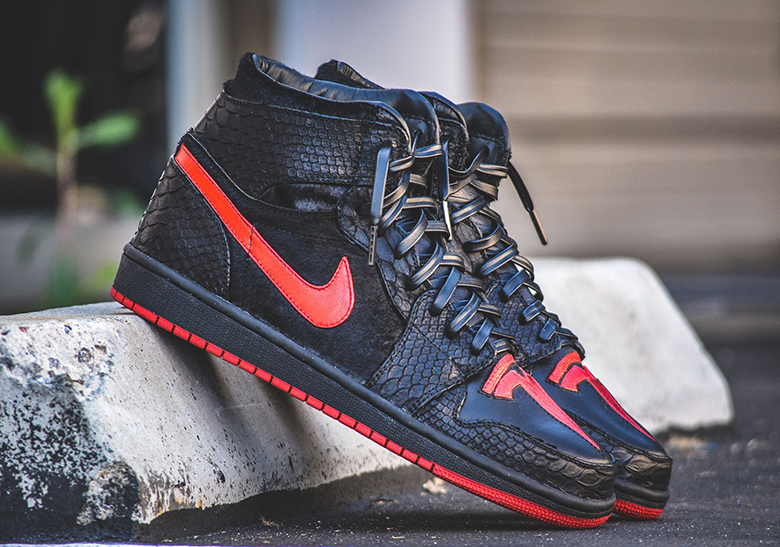 The exclusive customs feature a combination of python and pony hair, with luxurious Horween leather laces and red Tesla logos on the toe box. The kicks won't be available to the public, but Musk's new model Y crossover SUV, with a battery range of about 300 miles and a starting price of $47,000, is now available to pre-order, according to MarketWatch. 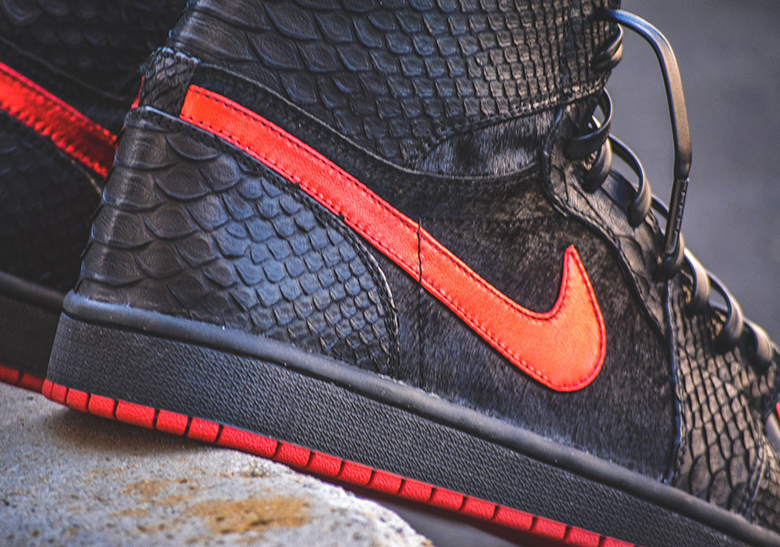 Take a closer look at Elon Musk's "Tesla" Air Jordan 1 custom below.